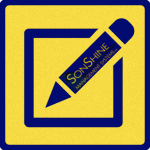 Proposal Request - SonShine Management Systems Inc.
We would love to talk to you about managing your homeowner’s association or rental property. All submitted inquiries are confidential. Please fill out the proposal request form below and someone will contact you very soon. Be sure to include any other pertinent information about the property in the message box of the proposal request so that a proper evaluation can be made. Thanks for your interest in SonShine Management Systems Inc.